Providing you the best range of humidity control industrial duct air cooler, evaporative ductable air cooler, industrial evaporative air cooler, eac-18 single stage evaporative air cooler, single stage evaporative air cooler and industrial duct air cooler with effective & timely delivery. 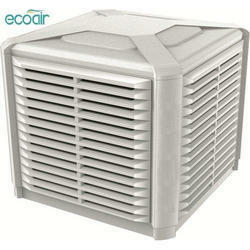 Ecoair provides an eco-friendly range of Humidity Control Air Cooler. To furnish the changing needs and necessities of our customers in the most effective manner, we have come up with a durable range of Humidity Control Air Cooler. Made under the direction of skilled personnel of the industry, we assure that only top grade material and advanced tools and machinery is been used in their development process. Also, these can be availed from us at market leading rates. 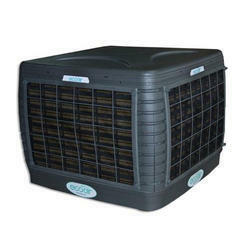 By keeping our track with the changes taking place in the industry, we are involved in the business of offering a wide array of Evaporative Air Cooler. Appreciated for their high performance, reliability, and flawlessness, these offered coolers are highly appreciated and acclaimed. Available with us in a number of technicalities, these can also be modified. 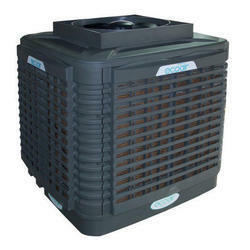 By keeping our track with the changes taking place in the industry, we are involved in the business of offering a wide array of Industrial Evaporative Air Cooler. Appreciated for their high performance, reliability, and flawlessness, these offered coolers are highly appreciated and acclaimed. Available with us in a number of technicalities, these can also be modified. 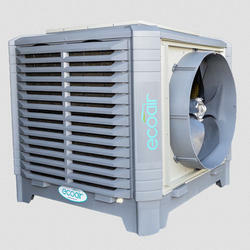 We are offering EAC-18 Single Stage Evaporative Air Cooler to our client. 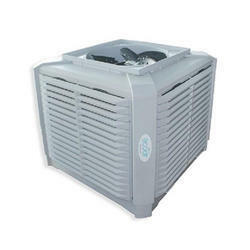 We are offering Single Stage Evaporative Air Cooler to our client. 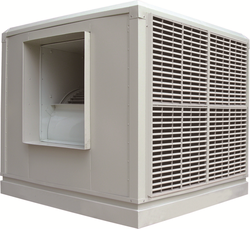 Industrial Duct Air Cooler offered to comprise the latest technology based air coolers that are suitable for industrial ways and meet the demands of lowering temperature for indoor and outdoor areas.